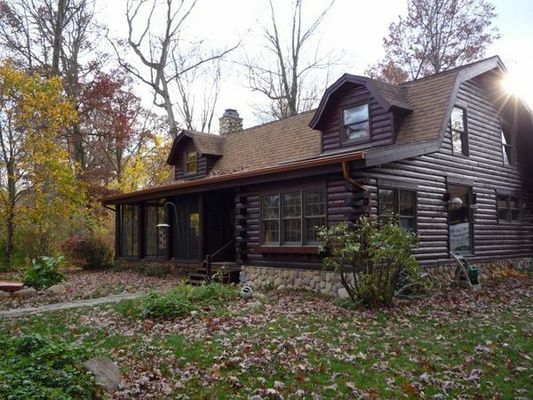 It’s not often you’ll see the log homes near the Indiana-Michigan border featured in the New York Times, but a three-bedroom 1932 cabin recently made its way onto the real estate pages. There are many such log homes in Northern Indiana, especially in Goshen and Columbia City – and at Matthews Painting, customers trust the beauty and value of their log homes to our painting and staining experts. Log homes are especially popular along the lakes near Warsaw, Winona Lake, and Syracuse- Lake Tippecanoe and the Lake Wawasee, but they’re not just summer cottages anymore. About 85 percent of owners live in log homes year-round in lots of different settings, with all the advantages of modern living in a warm, rustic and in many cases sustainably built log home. Yet it takes a lot of work to ensure that the charm and welcome of these log homes are perfect, and that’s where Matthews Painting and Staining experts shine. 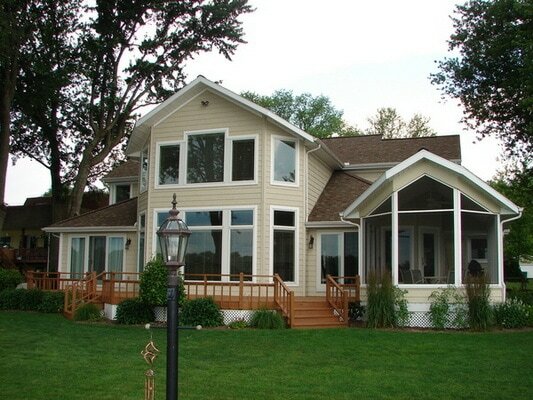 There’s sometimes more maintenance with a log home but we make it a lot easier and worry-free. First, we’re happy to complete a free interior and exterior log home inspection for you, and that’s something you need to do every spring to check for winter weather damage, moisture, insect infestation and other problems that threaten the log materials. We’ll talk with you about what to look for, and how to prevent issues from having any impact. A good hand washing or pressure cleaning is a smart investment and an owner’s first line of intervention. We’re power washing professionals who can safely and quickly remove dirt, mold and other threats to your log exterior. It pays off in appearance and the peace of mind in knowing that the log surfaces have been made to look like new again. 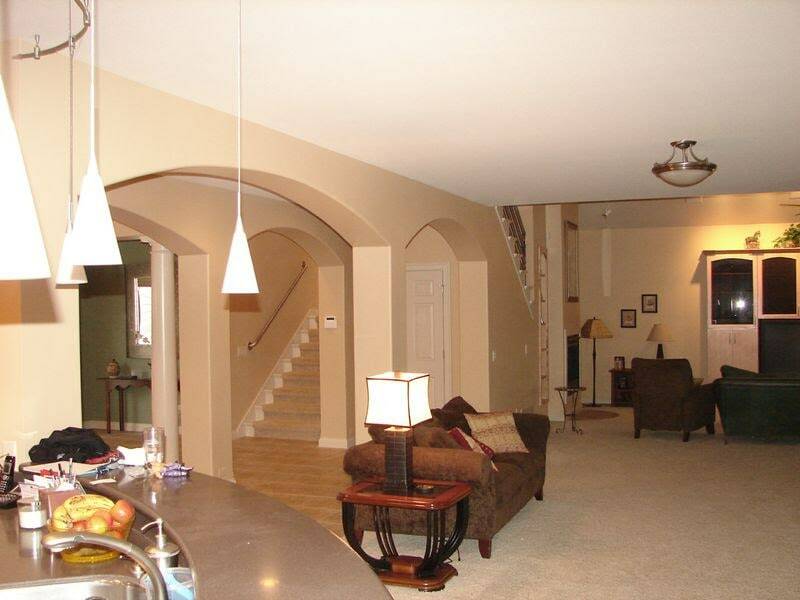 Where we find a problem, Matthews Painting is equipped with the best Contractors in our area to restore and repair the damage. Water is the most common problem, whether you live at lakeside or in the deep moisture of the woods, and it’s especially important to keep water under control. It’s a good idea to check the exterior of your log home for signs of gutter system failure, grading and landscaping problems, or other causes of water exposure just as you would with porches or decks. If left to its own devices, water exposure will begin to rot your logs and if it’s not prevented will lead to expensive and unnecessary repairs. The proper wood sealants and preservation products will keep your log home beautiful while putting a stop to any moisture risks. That’s doubly important because moisture invites other problems that can damage a log home. They include mold and mildew – a common find on wooded properties whose owners love them for their shady and secluded setting. A wet environment also creates attractive and easy pathways for insects. They need to be removed when found, and Matthews Painting and Staining will ensure high-performing insecticide, termiticide and fungicide products are applied to eliminate the risk from some of wood’s worst enemies. Most of our owners know that water is a problem but they don’t always think about risks from the sun. Heat, dry conditions and relentless UV rays take a toll on the stain, clear coat and the wood too, often leaving the logs with areas of a telltale weathered gray (that needs renewal!) or that’s brittle or cracking. One of the best strategies for protecting the logs is to use products that both repel water and protect the home from UV light. Finally, it’s important to know that all wood is not equal. Cedar, for example, requires different washes and surface preparation than other woods do. Matthews Painting pros are trained to know how each wood behaves, and what it goes through during a Goshen winter or a Columbia City spring storm season. Call us today and we’ll explain the techniques for protecting your home all year round. Log Home Staining, Sealing and Restoration for the Warsaw, Winona Lake, Leesburg, Lake Tippecanoe, North Webster, Lake Wawasee, Syracuse, Goshen, North Manchester, Larwill, Pierceton, Milford, Nappanee Cromwell and Columbia City, Indiana areas. 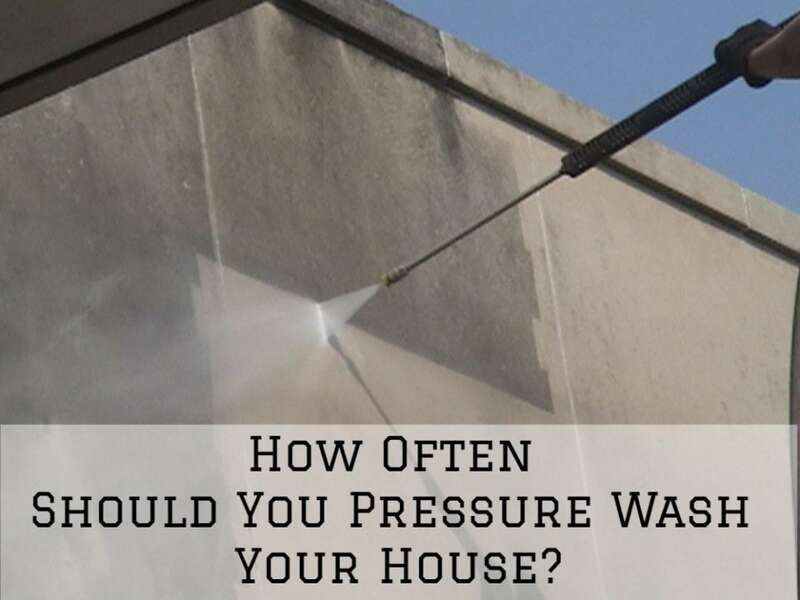 How Often Should You Pressure Wash Your House?